Put the sweetcorn in a saucepan with the stock. Cover, bring to the boil then reduce to simmer for 10 minutes. Add the onion and carrot and saute gently for ten minutes until softened. Stir in the flour and continue to cook for a couple of minutes. Gradually whisk in the milk and bring to the boil. Reduce the heat and simmer for 3-4 minutes, stirring all the time. Add in the cheese, corn mixture, cream and seasoning. Serve in warmed soup bowls with crusty bread. Boil the broccoli in water until slightly soft. Strain the broccoli and keeping the broccoli-flavoured water. Transfer the broccoli to a food mixer. Add some chicken stock to the hot water to become chicken stock. Blend the broccoli in some of this chicken stock. Make sure it is very well blended. Transfer back to pot and reheat. Salt and pepper to taste and some cream if preferred. Melt the butter in a heavy based saucepan on a low heat. Add your onions, leek and celery and put the lid back on. Cook until the onions are translucent but not coloured. Add potatoes, carrots, tomatoes and stock and bring to a gently boil. When the vegetable are cooked (you can easily crush them against the side of the saucepan with a wooden spoon) take off the heat and liquidise. Pop back into the saucepan and add the cream, salt and pepper to taste. Serve with home made soda bread. For a healthier soup omit the cream, for a dairy free soup, sweat the onions, leek and celery in olive oil and omit the cream. If your soup seems a little thick add extra stock after liquidising. This is a great way to get vegetables into kids. The long list of veggies is bound to make any soup lover smile!! You can't go wrong with carrot, onions, potatoes, leeks and tomatoes filling up the soup tub. 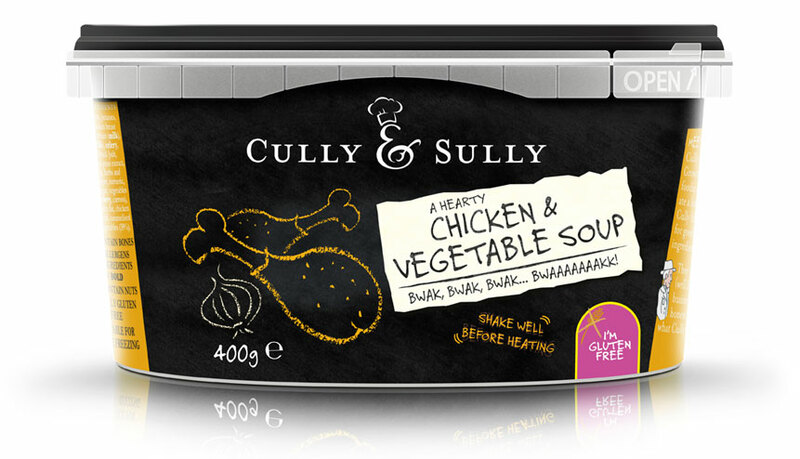 There is a lovely note of thyme in this soup which shouldn't be shown up on the health front! Thyme tea can be made to help with coughs by crushing the leaves and steeping them in boiling water for 10 minutes. Debatable of course, but if you are having fish and chips it's hard to beat a dollop of this golden gooyey gold. Put the egg in a measuring cylinder/jug. Get a hand held electric whisk/blander. Pulse for a few seconds. Turn the speed down to medium. Gradually pour in the rapeseed oil... pause once in a while if the mix is not thickening... keep going until you have about 250ml of mayo. Problem is even with quantities, making mayo is an art. you just know how much to blend and how much oil to add and when to stop. It will take a fair bit of trial and error to get it right. But it's worth it. One tip is to not even think or contemplate doing by a hand whisk. Serious waste of time and effort. They may make you do it that way on cookery courses but it like starting a fire by rubbing two sticks together. Satisfying, but you wouldn't want to do it every day when there are matches sitting beside you. Add the rest of the ingredients and blitz for a few more seconds. Pour into a jar and chill for an hour or two before using. This adds soooo much flavour and luxury to simple fish and chips... without being over powering like tartar sauce! BTW, to turn this mayo into tartar sauce, simply add 1 tsp of drained and rinsed and chopped capers and another of pickled cornicons. Another option is to make herby mayo... add about two tsp of finely chopped herbs: tarragon, sage, marjoram and thyme. Actually, I prefer this to tartar sauce! Place the garlic cloves in a small oven dish and roast them in the preheated oven for about 20 minutes or until soft. Remove then when cool enough to handle, snip open the end and squeeze out the contents into a small bowl. Heat the butter and oil in a large saucepan and gently fry the onion and celery for 10 minutes or so, then stir in the roasted garlic and lentils. Stir well to coat in the fat, then add the bay leaf and hot stock. Bring to the boil, season well with salt and pepper, then cover and simmer for about 25 minutes or until the lentils are cooked. Liquidise the soup in batches, returning it to a clean pan, check the seasoning and serve piping hot. Read more about Aisling’s Lovely Lentil Soup! Ivan and Cully made this soup and two others (carrot and parsnip) for a starter at a charity dinner party they hosted on St Patrick’s Day. They presented the three soup in shot glasses so that it represented the three colours of the Irish flag. Melt the butter, add the onions and cover with a butter wrapper to sweat until translucent about 10 minutes. Add 250g of the defrosted peas and continue to cook for two minutes, slowly add your hot vegetable stock and cook until peas are tender, about five minutes. Take off the heat and add the rest of your defrosted peas, liquidise and then pass through a sieve for that lovely silky texture. Pop into the fridge to chill and serve with chopped mint on top. Ivan and Cully made this soup and two others (pea and parsnip) for a starter at a charity dinner party they hosted on St Patrick’s Day. They presented the three soup in shot glasses so that it represented the three colours of the Irish flag. Makes 6 normal serves or about 15 shots. Melt the butter, when it foams add the chopped onions and carrots, season with salt, pepper and sugar. Cover with a butter wrapper or a tight fitting lid, to retain the steam. Leave to sweat gently on a low heat for about 10 minutes. Remove the lid, add the stock and boil until the vegetable are soft approximately 10 minutes. Liquidise and then pass through a sieve to give that lovely creamy texture. Pop into the fridge to chill. Serve with a sprinkle of rose petals to garnish. Ivan and Cully made this soup and two others (pea and carrot) for a starter at a charity dinner party they hosted on St Patrick's Day. They presented the three soup in shot glasses so that it represented the three colours for the Irish flag. Melt the butter in a heavy saucepan, add the chopped onions, garlic and parsnip, season with salt and pepper and toss until well coated. Cover and cook over a gentle heat until soft and tender, about ten minutes. Be careful not to have too high a heat, you will burn the garlic and make the soup bitter. Add in the garam masala and stir for a few minutes, to release the aromas of the spice, slowly add in your hot veg stock. Simmer until the parsnip is cooked. Liquidise the soup and then push through a sieve to give a wonderful creamy texture, add the cream and check the seasoning, if you feel the soup is too thick add a little more stock. Pop into the fridge to chill. Put into serving vessel and garnish with garam masala. Note: We get our garam masala from our good friends at Green Saffron. Their web site is www.greensaffron.com if you want to contact them. This soup is the perfect mid week treat that is healthy, fat free and tastes great. It ticks all the boxes for a guilt free yummy lunch. Make a little goats cheese, pickled beetroot and rocket salad on the side, just cause you can. Pop the olive oil into a saucepan with a tight fitting lid. Add the olive oil and sweat the onions, garlic and fennel root over a gentle heat, until soft but not coloured, increase the heat to medium and add the tomatoes, simmer for 5 minutes and add the stock. Simmer for another 5 minutes, liquidise and serve with a blob of pesto or tapenade.